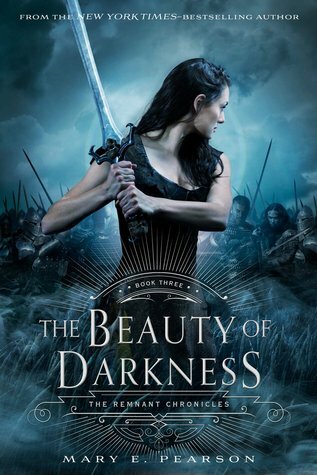 Mary E. Pearson is a young adult author, whose 10th novel The Beauty of Darkness was released on August 2nd, 2016. It is the third and final book in The Remnant Chronicles trilogy. Q: Most of your books seem to be about teens. Why do you enjoy writing about that age group? A: I enjoy writing about teens because it’s such a crucial time in our lives. There are so many choices that teens have to make that when they make mistakes, I have more patience for that kind of protagonist. Whereas if I were writing about an adult protagonist making the same mistakes, I don’t have a lot of patience. The teen years are so fascinating to me, and I think it’s because maybe I am still young in my heart. I write about teens and I will until the day that I die. Q: What would you say is a common theme in your books? A: Ahhh! That question scares me! I used to be a teacher, so I shouldn’t be afraid of that question. I have students write to me all the time and ask me what the theme of my story is. I never know how to answer it, because The Remnant Chronicles has so much in one story, it’s not just one theme. Usually, people tell me what they think the theme is. Everyone comes to a book for a different reason, and everyone takes something different away from it. The things that I think are really important aren’t necessarily important to someone else. I think we all focus on things that speak to our own lives. One thing I will say is that I love to explore grey areas. I love to explore the things that are not totally good, and not totally bad. I feel like there is a little bit of good and bad in all of us. I guess if I had to pick a common theme in all of my books, it would be that: exploring the grey area. Q: Are there any tropes in YA that bother you? A: No, because if they’re done well, it’s always exciting. There are always new twists and turns that authors are exploring in their storytelling. This isn’t considered a trope, I don’t think, but I am loving the change that has started to take place in in our society. There is no longer a “boy book” and a “girl book.” Because all books are stories about characters. I spent my whole life reading about the male perspective. Half of this planet are females! I think it is so important for both genders to be exposed to the female experience. I love that males in the YA genre aren’t afraid to love these stories and characters as much as females do. Q: What made you want to start writing? A: Oh boy, I think I have always had stories floating around in my head. When I was younger, I was the smallest one in school. They used to go around picking players, one at a time for teams in gym class. I was always the last one left standing. I was so small, and I wasn’t very good at a lot of things. But I loved to read and I loved to write stories. I had teachers who encouraged my love for writing and who were always very positive. It was so encouraging as an eight-year-old to hear those words. So, I always say “Never underestimate the power of a few positive words.” Even though I loved to write, I didn’t really know what I wanted to write. But I never gave up. I kept writing. When I was in high school, I read a book that was so different from anything I had ever read before. Its called The Outsiders by S.E. Hinton. I remember just bawling because these were my people. They were real, they were contemporary. Everyone deserves to see themselves between the pages of a book. A: I have a HUGE TBR pile. But, one of the books that I just finished, and that I loved was The Lovely Reckless by Kami Garcia. I am also currently reading a book that Susan Dennard and Veronica Rossi recommended to me. They are both huge craft book nerds; we are all just craft book junkies. A: That is such a hard question, because every author you read influences you in some way. One author that comes to mind is Sonya Hartnett. I’ve read several of her novels. She just writes beautifully. I think every book I have ever read has influenced me in some way. Q: Who would be your dream cast for The Remnant Chronicles? A: Oh! That is a juicy question. Kit Harrington I’d want to be Rafe. Charlie Hunnam for Kaden. Johnny Depp for The Komissar. They are all a bit old though. I am really excited about The Adoration of Jenna Fox though! The script for the move is done and it’s set to hit theaters in 2017. They won’t ask me who I want, though! Q: Who is your book boyfriend? A: That would have to be Thorne from Cress. He is just so cute. What’s not to love about Thorne? Q: If you could give advice to aspiring authors, what would it be? A: A lot of writers have such big doubts. They think that published authors never experience doubt. That’s simply not true: you experience it with every single book you write. The only thing that I have learned is that the difference between published writers and unpublished writers is that published writers never gave up. Keep going. Especially when you hit that middle, the middle is just rampant with doubt. You’ve laid out all of the fun stuff, and now you have all of these threads, and all of this baggage that you need to somehow wind together. You start to feel like you are drowning. Welcome to the club! You are not alone. Just don’t give up and accept that doubt is part of the writing process. It was such a pleasure to meet Mary, and get some awesome advice for aspiring authors! All of Mary’s books are available wherever books are sold. You can find out more at http://www.marypearson.com. Previous ArticleAlbum Review: Teenage Fanclub - "Here"